Frye’s Measure Mill, in Wilton, was placed on the New Hampshire Preservation Alliance’s 2008 list of “Seven to Save”, among the most endangered Granite State properties. 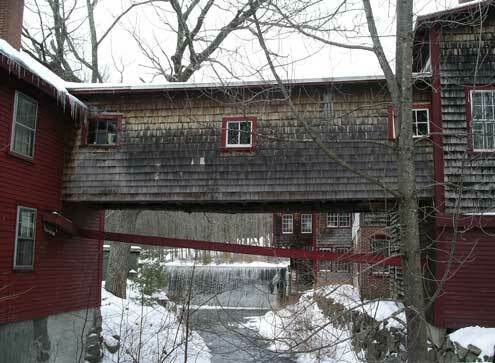 It dates back to a time when mills were made of wood, not brick like those in Manchester, and located along the streams and small rivers of backwoods New Hampshire, not just along the mighty Merrimack. Local manufacturing and locally made products were the backbone of the American economy in the 1800’s. Frye’s Measure Mill has been run by only three families over the years. There is still a continuing battle to maintain the mill, dam, ponds and outbuildings. In 1982 the Measure Mill was accepted to the National Register of Historic Places. Built in 1878, the Frye Mill still produces wooden ware measures, similar to Shaker style boxes also produced there. Using an elaborate system of wooden cogs and leather belts, the energy produced from a small waterfall turns the lathes and machinery that cuts, shapes and shaves the wooden containers that become “measures.” Measures were made in sizes from a dry cup to a quart, and each can be considered a small work of art. The shaker boxes and measures are still made of native maple, hand bent around wooden molds and fastened with copper tacks. In the late 1960’s Eldress Bertha of the Canterbury Shaker Village approached Frye’s Measure Mill to help preserve the disappearing craft of shaker box making. Very similar to measures, which often had handles, the Shaker boxes have lids made with the same painstaking care as the body of the box. You can still watch this process here in Wilton. Their most famous measure is known as a “piggin”, a wooden dipper holding one quart. Besides the wooden ware production going at the picturesque mill, and a large gift shop, there are antique fire trucks in a firehouse across the yard, blacksmithing shop and tinsmith shop with demonstrations. Call ahead for details and a schedule. The antique shops are also open on most weekends. Frye’s Measure Mill is like a recreated historical village, with no entrance fee! Check out the bargain section of the gift shop for seconds quality wooden measures, some unfinished. I bought a few of these and gave them a quick coat of varnish for Christmas gifts. Former owner of the mill, Harland Savage, still gives a tour with a visit to the upstairs mill shop. Reservations are required for this delightful field trip, which includes much reminiscing about the old woodworking and carding machinery. Tours are available on Saturdays from June to October. Don’t miss this man’s stories; he is a New England treasure! 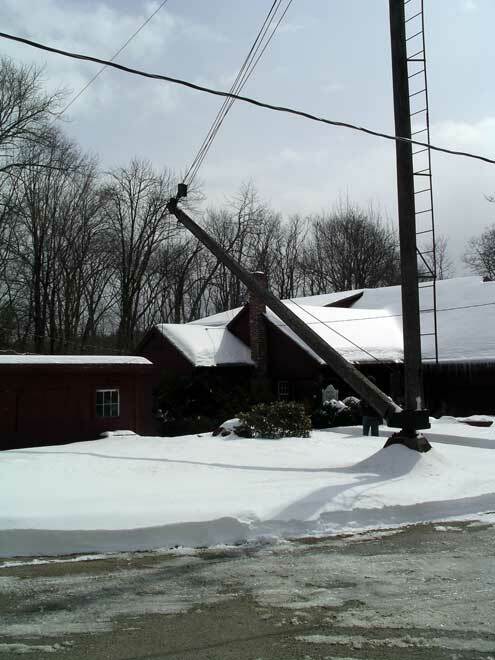 Frye’s Measure Mill is located on 12 Frye Mill Road in Wilton 603-654-6581. Photos by Heather Rojo from the winter of 2009.